QE Series | Japan Aviation Electronics Industry, Ltd. 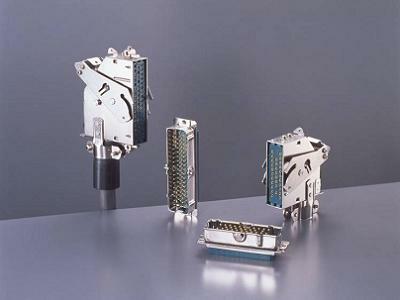 The QE Series is a rectangular connector for lever engagement with a metal outer shell. It has a structure with strong resistance against vibration and shock. Also it is a robust and high performing connector with superior contact stability. There are two kinds; crimp type contacts with easy termination and through-hole type contacts (pin side only for receptacle) for board connection. Both are possible for panel-to-cable and board-to-cable connection. The QE Series can be widely used for various industrial equipments including railroad related vehicles and communication equipments. Equipments for railroad related vehicles, communication equipments, and electrical equipments for various industries. 031-50566 0.2 to 0.5 mm 2 #24 to #20 2.6 mm max. 031-50567 0.2 to 0.5 mm 2 #24 to #20 1.6 mm max. Socket 031-50675 0.5 to 1.3 mm 2 #20 to #16 2.4 mm max. 031-50676 0.2 to 0.5 mm 2 #24 to #20 2.6 mm max. 031-50677 0.2 to 0.5 mm 2 #24 to #20 1.6 mm max.